Can you believe I ordered Jamberry's Vintage Chic design last June and just applied it for the first time? If I would have saved the wraps any longer, they could have truly been considered antiques! 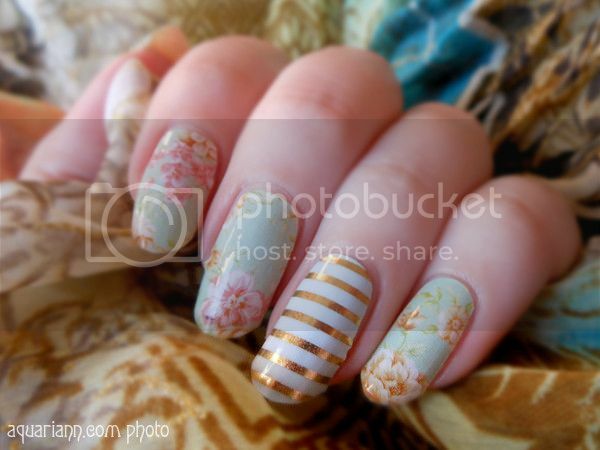 I paired the dainty floral nail art with a Mint Green & Gold Stripe accent nail for some subtle shine. 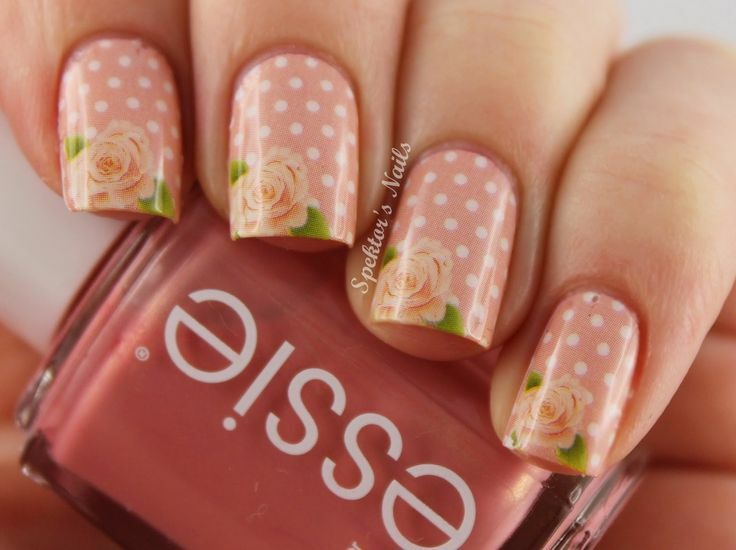 I love the flower design and I love that one nail is different! Loving this combo together! Such a sweet vintage look! Those are pretty and creative. Perhaps if I had your talent for doing nails I'd actually enjoy doing them! These are two of my favorite Jamberry designs. So pretty!